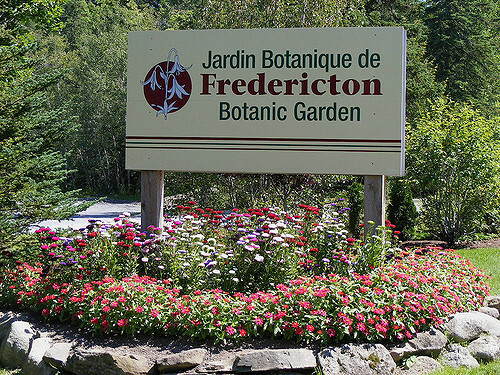 The Fredericton Botanic Garden, located at the west end of Odell Park, aims to provide a recreational opportunity for the public to enjoy and expand their knowledge on various plants species, displays of flowers, trails, and more. In memory of his late wife, garden member Jim Nicholson reached out to the Fredericton Community Foundation in 2017 in order to establish the Fredericton Botanic Garden Fund. It is his hope that, with contributions from other members of the Fredericton community, the Botanic Garden can continue providing education to the public and allowing visitors to enjoy the property’s natural beauty. In 1969, the Fredericton Botanic Garden Association was formed by a group of local botany and horticulture enthusiasts. One year later, its members - in collaboration with the City of Fredericton - successfully established the Fredericton Botanic Garden at the west end of Odell Park. Since its establishment, the Fredericton Botanic Garden has strived to provide the public with the opportunity to engage with various plant species and varieties through walks, interpretive trails, and beautiful displays of flowers and foliage. By involving community members in this type of recreational activity, the volunteers of the Botanic Garden aim to teach people of all ages how to appreciate plants and the ways in which different species can coexist. Originally from PEI but now living in Fredericton since 1966, Jim Nicholson joined the Fredericton Botanic Garden the second year after it was chartered. Having retired the year before, Nicholson contributed countless hours in the garden over the next decade in order to help maintain the property. "I was very involved for a while," he explained. "I was in charge of the development committee and the greenhouse." He laughs, "I had to shovel walks and vacuum the building and that sort of thing, but I burnt out after about 10 years of that." Along with these tasks, Nicholson's name could be found in the Fredericton Tourist Guide for individuals, groups, or bus tours seeking guided tours of the Botanic Garden. Currently, the Fredericton Botanic Garden contains several different sections and features, each with a unique focus. Funded through one of the Fredericton Community Foundation's major grants, the Entrance Garden is a multi-use open space that opened in 2007. It acts as an introduction to the rest of the garden, boasting sugar maples, an oval lawn, and benches along the circling pathway. Once past the Entrance Garden, visitors are able to explore beds of mixed perennials, rhododendrons, azaleas, a daylily collection, the Woodland Fern Trail, Memorial Grove, and the Hal Hinds Memorial Garden. In addition, the River Valley Kiosk can elaborate on some of these displays, providing detailed information on topics like the St. John River Valley ecosystems. “[My favourite] is the rhododendron collection,” stated Nicholson, partly due to the installation of a new James Boyd sculpture in that area in 2017. The members of the Fredericton Botanic Garden Association also work each year to put on various events and fundraisers. Of these, their most popular is often the annual Plant Sale held in May. "I always helped with the plant sale," stated Nicholson enthusiastically. "I have extensive gardens at my cottage, so every year at the plant sale I would do about 500 pots." Visitors to the plant sale are able to purchase perennials, herbs, young trees, and houseplants, as well as enjoy live music and learn more on topics like beekeeping and vermicomposting. The Botanic Garden Association also holds events like Seedy Saturday in March, as well as various talks in the garden and throughout the winter months. After years of commitment to the Botanic Garden, it was the recent passing of Nicholson’s wife, Betty Nicholson, that inspired him to establish the Fredericton Botanic Garden Fund with the Fredericton Community Foundation: “My wife and I were always very active in the Botanic Garden from the beginning. We made some good friends there and we attended most of their functions. When she died, I decided that, in her memory, I would establish the fund.” Nicholson elaborated that he made an additional contribution this year on the anniversary of Betty’s death and hopes to do so each year moving forward.